So here comes part 2 of my collection. I will show what I have in my IKEA media storage Kupol. I will show it from left to right and top to bottom. 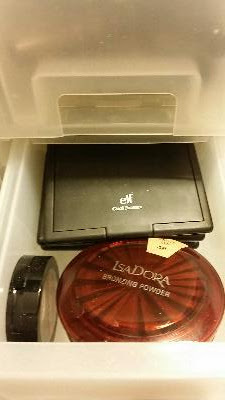 First small draw, top left : Some mineral foundation and bronzer, from brands like Everyday Minerals and Sheer cover. 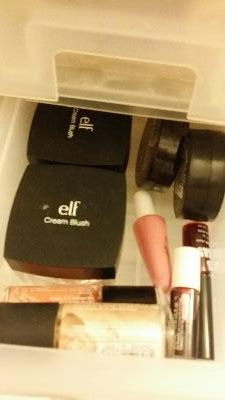 Middle small draw on the left: Some larger and bulky blushes and highlighters that I can't find place for somewhere else, brands are ELF, MeMeMe, MakeUp Store, Benetint, Elisabeth Mott and The beauty crop. 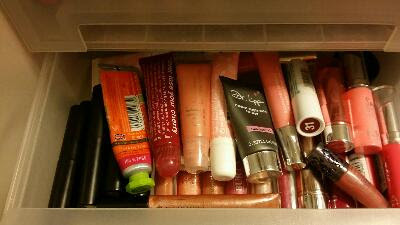 Bottom small draw on the left: Lip lacquers and Lip stains, Lip Pro butter from Makeup Revolution, Freedom Makeup London, MUA. 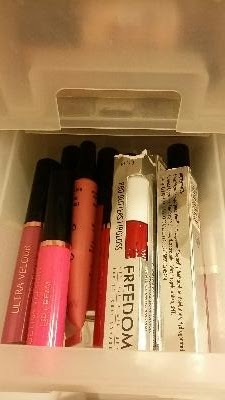 Top large draw: Lip sticks and lip butters from ELF, Rimmel, Makeup Revolution, Freedom Makeup London, NYX, Revlon, bellápierre, Make Up Store. 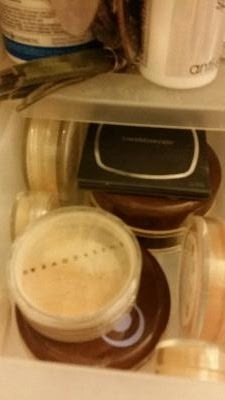 Bottom large draw: Lip glosses, lip butters from ELF, Dr Lipp, MUA, Lumene, IsaDora, Esscens, Fig & Rouge, Hydracolor, anatomicals, Lollipop and a few more brands. 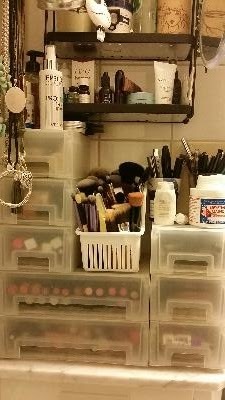 Top small draw on the right: Eye brow kits, cake mascara, eye liner creme and liquid, pencil sharpner and some small eye liner brushes. 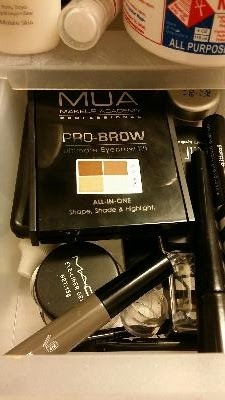 Brands are MUA, MAC, IsaDora, ELF, Makeup Revolution. 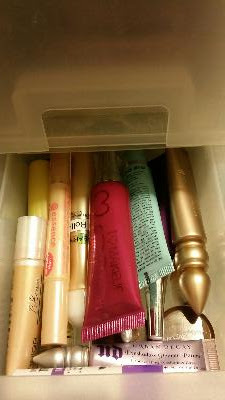 Bottom small draw on the right: Eye shadow primer, under eye concealer, eye creme and acne concealer. 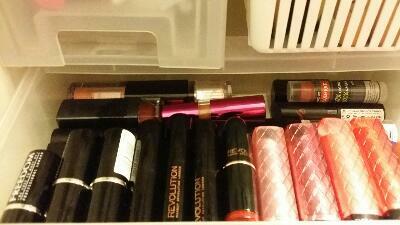 Brands are Urban Decay, Garnier, Makeup Revolution, Oriflame, Yves Rocher, Essence, ACO. 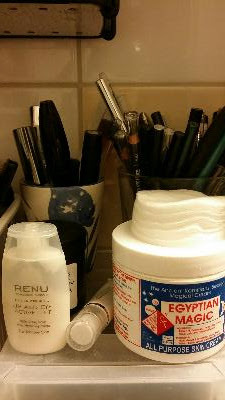 On top of the draws on the right, I have a glass with eye liner pencils and a ceramic cup with the on going mascaras I use for the moment, an night eye creme and Egyptian Magic Cream.